ZenRobotics and Jiangsu LVHE Environmental Technology have agreed on cooperation on the first robotic construction and demolition waste recycling facility in China. The first units will be installed in summer 2017. The companies have also signed an exclusive partnership for the distribution of ZenRobotics Recycler, the first commercially available robotic waste sorting system, in China. Jiangsu LVHE Environmental Technology Co., Ltd. is a state-owned holding enterprise under the Ministry of Housing and Urban-Rural Development and Wujin Green Building Industrial Agglomeration Demonstration Zone. Dedicated to green development, LVHE Environmental Technology Co., Ltd. develops sustainable resource utilization and environmental protection. The company has become the forerunner in C&D waste recycling in China. “We keep exploring and innovating in C&D waste recycling in order to develop the green building industry. However, it is very difficult to dispose the mixed C&D waste in China because of the massive quantities and multiple waste categories. Now we can solve the problems. ZenRobotics’ technology is a great addition to our operations as we aim to employ the latest innovations, newest processes and modern equipment in producing new sustainable building materials”, Mr. Xue Feng, LVHE General Manager, explains. 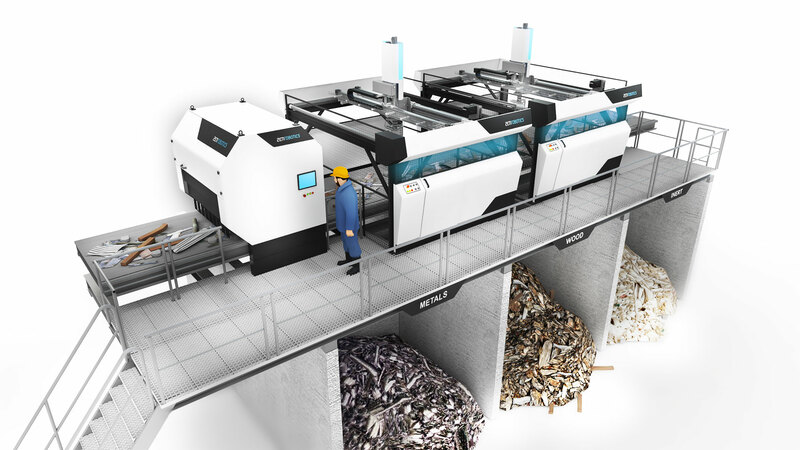 Robotic waste sorting has huge potential in China where the volume of construction waste has risen rapidly in line with the accelerating urbanization. Modern technological solutions are on demand especially in China’s Eco-cities. The 17th International Automobile Recycling Congress IARC 2017 organized by ICM AG will be held from March 22 – 24, 2017 in the Hotel Palace in Berlin, Germany. World crude steel production for the 66 countries reporting to the World Steel Association (Worldsteel) was 132.4 million tonnes (Mt) in November 2016, 5.0% up on November 2015.